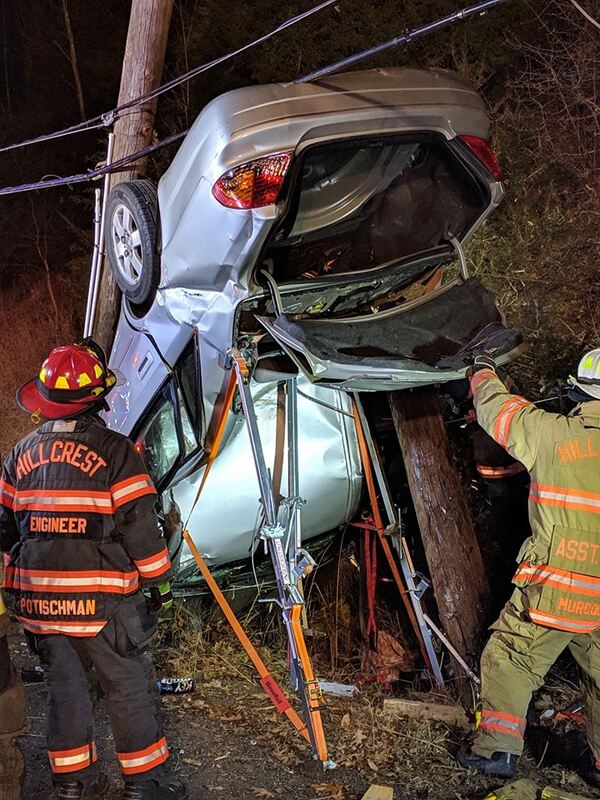 At approximately 4:20 a.m., Wednesday morning Ramapo PD responded to a report of a one car motor vehicle crash on Route 202 in the Pomona area. The vehicle was overturned and had struck a telephone pole. Upon arrival, officers found the female operator was entrapped in the vehicle. RPD was assisted on scene by Hillcrest FD, Ramapo Valley Ambulance Corps, RPS Paramedics, New York State Police and the Rockland County Sheriff Department. The female suffered minor injuries and was transported to the hospital for evaluation. Orange and Rockland Utilities went to the scene, replacing the telephone pole and Route 202 was closed for several hours.